Ronda Stewart, DNP, FNP-BC, board certified family nurse practitioner at Citizens Memorial Hospital (CMH) and Bolivar Family Care Center, recently earned a doctorate of nursing practitioner degree. Stewart earned her nursing degree from Burge School of Nursing, Springfield. 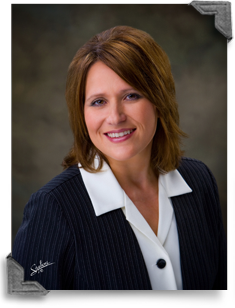 She received her bachelor’s degree in nursing from Southwest Baptist University and a master’s degree in nursing from University Stewart completed her doctorate in nursing (DNP) – family nurse practitioner (FNP) from Missouri State University, Springfield. Stewart sees patients for sudden illness or injury, allergies, cold, cough and flu, minor burns, fractures, sprains and strains, and minor laceration repair. CMH clinics accept most major insurance plans including Medicare and Medicaid. To schedule an appointment with Stewart, call Bolivar Family Care Center at 417-326-6021.